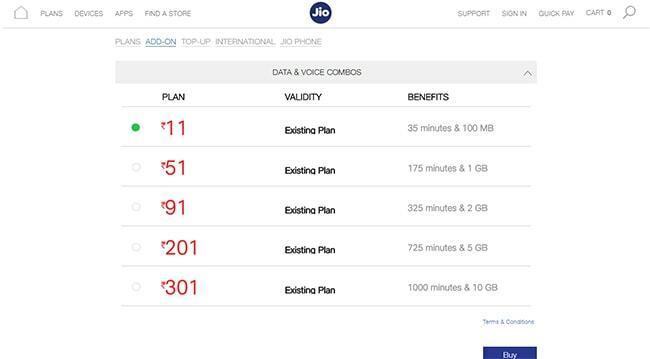 Jio's booster plans are priced between Rs 11 to Rs 301 and offer additional data of up to 10 GB, which can be used during the entire validity period without any daily limit. Jio is regularly coming up with new prepaid and postpaid recharge plans and revising its existing plans in order to entice their customers. These recharge plans offer different data and voice call benefits and come with some validity period. There are possibilities that some users may exhaust their daily data limits. For such users, Jio offers booster packs or add-on packs. With these packs, users can continue accessing high-speed 3G or 4G data even beyond the limit. These booster packs work according to the validity of user's existing plan. 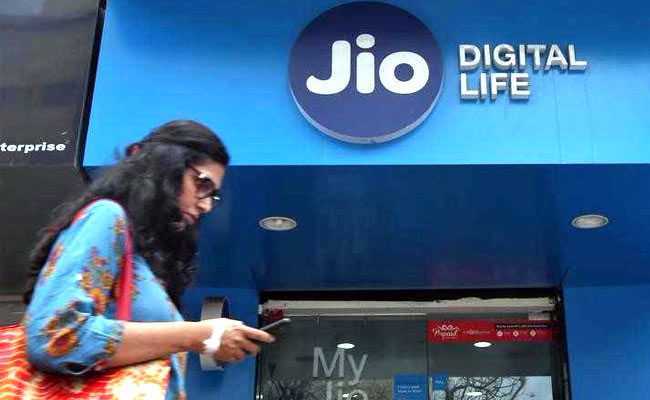 Reliance Jio offers 100MB of 4G data and 35 minutes of voice calls with the add-on pack priced at Rs 11. Jio's booster pack priced at Rs 51 offers 1GB of 4G data and 175 minutes of voice calls. Jio's booster pack priced at Rs 91 offers 2GB of 4G data and 325 minutes of voice calls. Jio's booster pack priced at Rs 201 offers 5GB of 4G data and 725 minutes of voice calls. Jio's booster pack priced at Rs 301 offers 10GB of 4G data and 1,000 minutes of voice calls.